Greek Name: hê kíssa or kítta [Latin: gaia, German: Eichelhäher]. 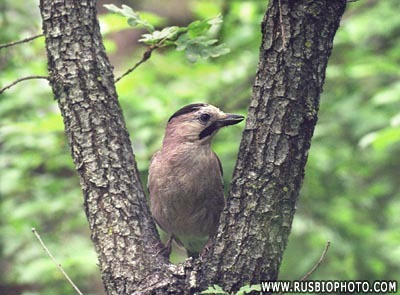 This most colorful member of the Corvidae family in Europe sports a "short bill, domed head, broad wings, chesty body, and rather long tail" (Cramp viii: 7); the wings are particularly colorful with narrow blue and black striped bars on the outer greater coverts. L 34-35 cm, wingspan 52-58 cm. and woody undergrowth offer easy cover. 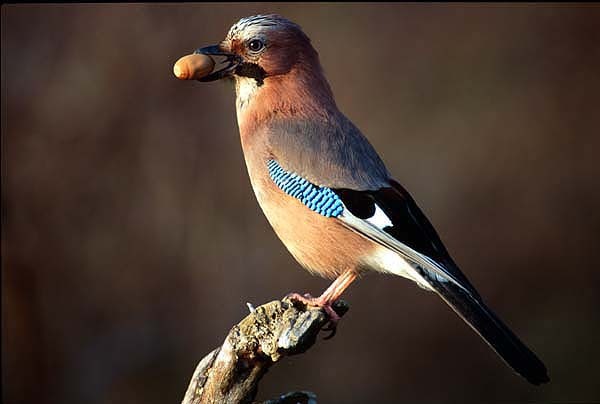 A rather shy and timid bird where persecuted, the Eurasian Jay keeps close to cover and reacts to perceived threats with loud screeching calls and by mimicking the calls of predatory birds. Not a very graceful flyer. "Over open country, flight laborious, with hints of stall followed by exaggerated bursts of wing beats, occasional floating and terminal dipping" (Cramp viii: 8). 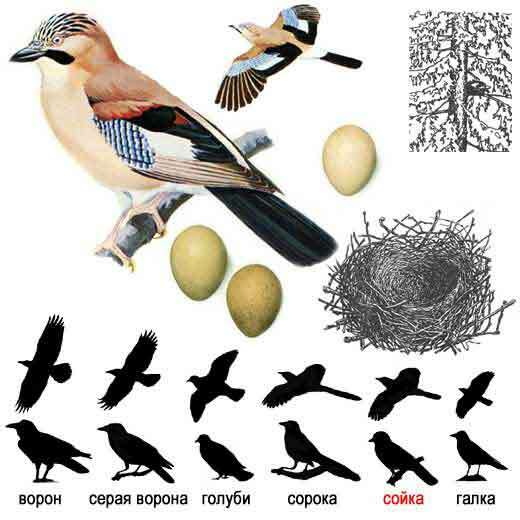 Buries its food, especially acorns.